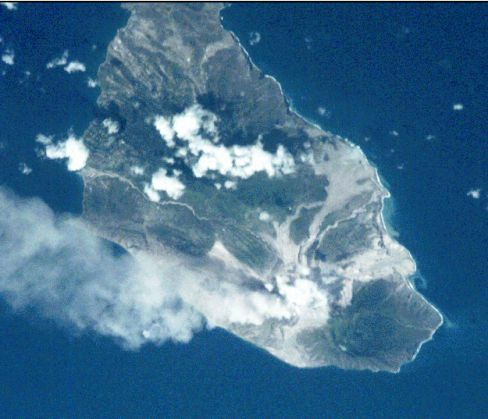 Montserrat lies 27 miles (43 kilometers) southwest of Antigua and is 11 miles long and seven miles wide. It consists of a serrated range of volcanic peaks rising in three main hill masses, the summits of which are forested. There are seven volcanically active peaks in the mountainous terrain. Chances Peak, in the southern hills above the still-active Soufrière Hills, is the highest point, at 3,000 feet (914 meters). The coastline is rugged. 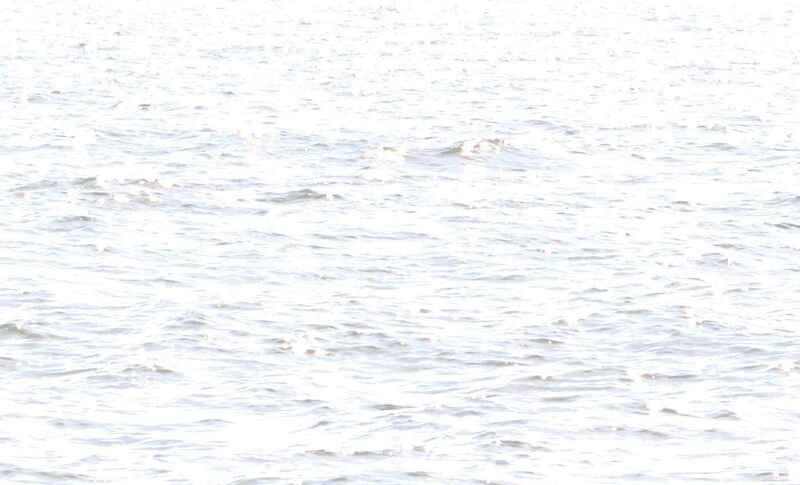 The average temperature on the island is 81° F (27° C) in summer and 76° F (24° C) in winter. Rainfall averages 57 inches (1,448 millimeters). Hurricanes are rare, although Hurriance Hugo in 1989 caused widespread devastation. The population is largely of black African ancestry. The official language is English, and the main religious denominations are Anglican, Methodist, and Roman Catholic, although Seventh-day Adventists and Pentecostals are of increasing importance. Montserrat's population has not changed substantially during the 20th century, largely as a result of out-migration and a low birth rate. The elderly population has been growing since 1970 as increasing numbers of people from North America and Canada have retired there. Montserrat was sighted by Christopher Columbus in November 1493 on his second voyage to the New World; he named it for the jagged peaks he saw there. Inhabited by the Carib Indians, it was first colonized by Irish and English settlers led by Sir Thomas Warner in 1632. More Irish immigrants came from Virginia. Plantations were set up to grow tobacco and indigo, then cotton and sugar. The early settlers suffered repeated attacks from the French and Carib Indians. The French took possession of the island in 1664 and in 1667, but it was restored to England in 1668 by the Peace of Breda. The French sacked the island in 1712 and recaptured the island for the last time in 1782. 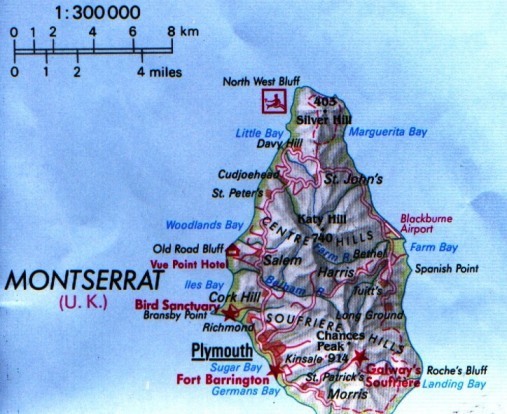 Montserrat was again restored to England, this time by the Treaty of Versailles (1783). In 1834 slavery was abolished (slaves had been introduced in 1664). The cessation of slavery and the falling price of sugar, combined with a series of devastating earthquakes and hurricanes between 1890 and 1936, brought the collapse of the stagnant plantation economy. 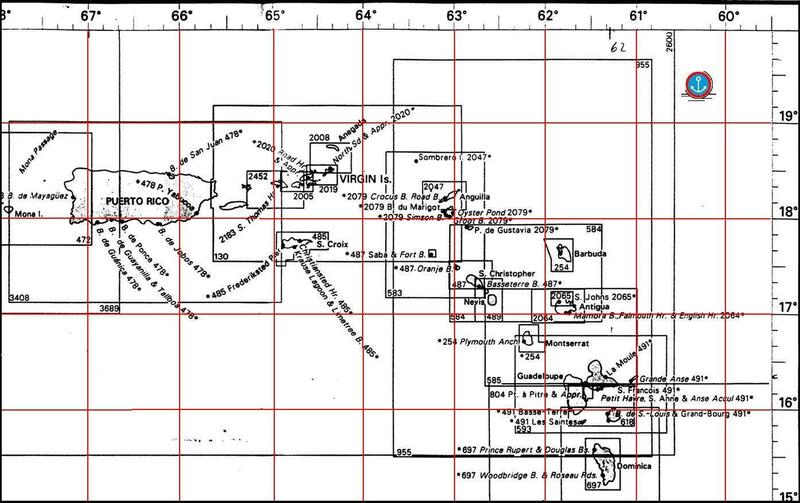 The Montserrat Company, formed in 1857 under the direction of Joseph Sturge, bought abandoned estates, encouraged the cultivation of limes, and sold plots of land to settlers. Much of Montserrat is still owned by small holders. Between 1871 and 1956 Montserrat was part of the (British) Leeward Islands Colony, which included the British Virgin Islands, Saint Kitts-Nevis-Anguilla, and Dominica. 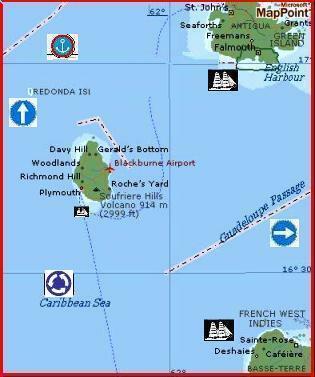 The federation was abolished on July 1, 1956, when Montserrat became a colony in its own right. 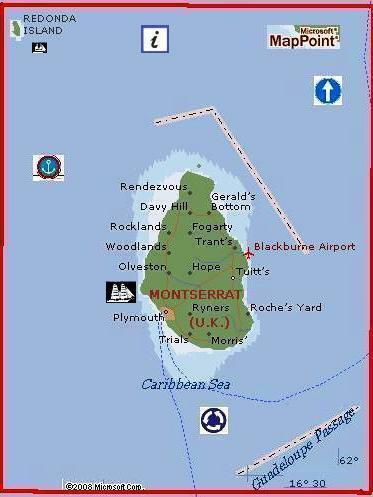 In 1958 Montserrat joined the West Indies Federation, which was dissolved in 1962 with the independence of Jamaica. Subsequent attempts to form a federation were abandoned in 1966. That year Queen Elizabeth II became the first British monarch to visit the colony. In the general election of November 1978, the People's Liberation Movement (PLM), which favours complete independence, won all elective seats. In 1983 that party again won, but the opposition made some gains and the margin was again narrowed in the 1987 election. Montserrat's policy since the PLM ascendancy has been to pursue independence but at a measured rate, preferring first to achieve greater economic self-sufficiency.